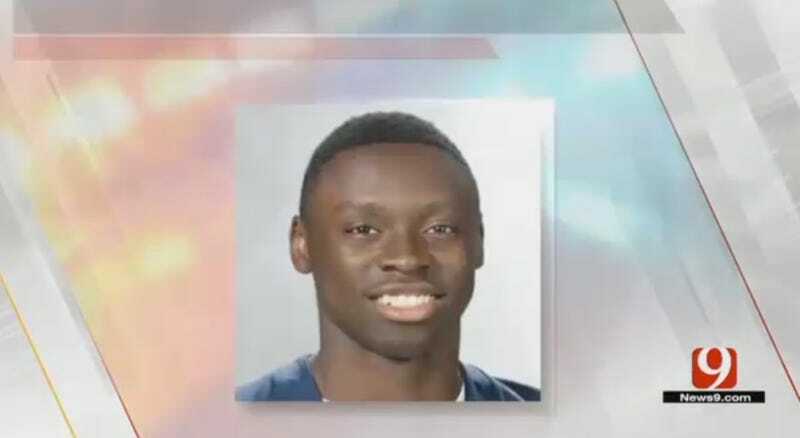 Central Oklahoma defensive back Derek Loccident lost his left foot in a freak accident early Sunday morning in downtown Oklahoma City. According to police, Loccident was on the train tracks near Fourth Street and E.K Gaylord Boulevard around 2:30 a.m. when an oncoming train ran his foot over, severing it. Initial reports said Loccident’s foot was trapped by a railroad switch, but police later clarified that he was crawling under a stopped train when it began moving. The only thing that matters right now is that Derek knows he has our full support. We are here for him. It’s important for his family to know that too. This isn’t about him being a football player right now, it’s about him being a young man that we are here for. Loccident led the Bronchos with 15 tackles through the team’s first two games. Oklahoma City news station KFOR reports that the railway company will conduct an investigation.